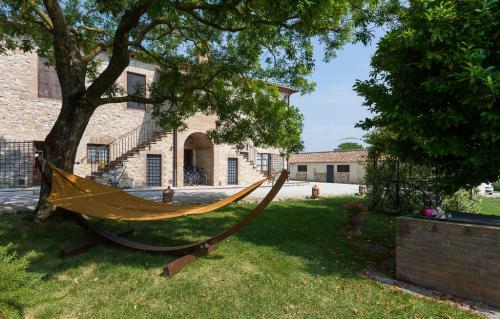 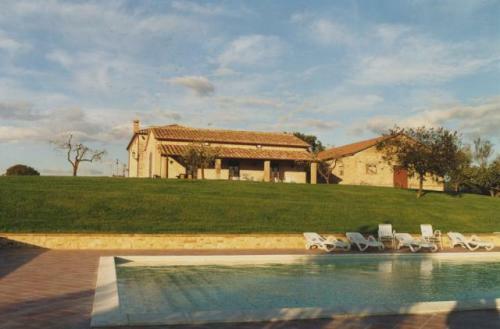 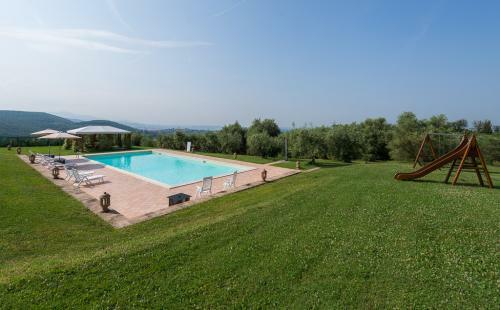 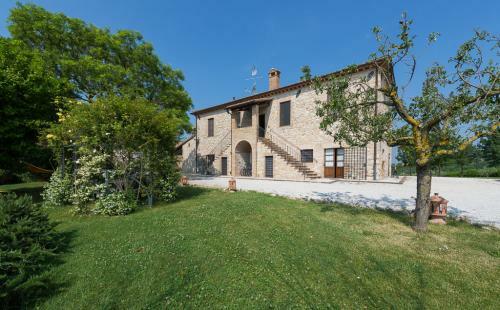 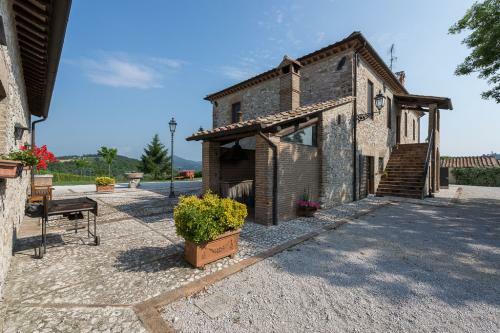 The Farmhouse La Palombara, oasis of peace and tranquility, surrounded by green Umbrian countryside is only two kilometers from the center of Amelia, a small town rich in history and traditions, chosen two thousand years ago by the Romans as a holiday resort and entertainment. 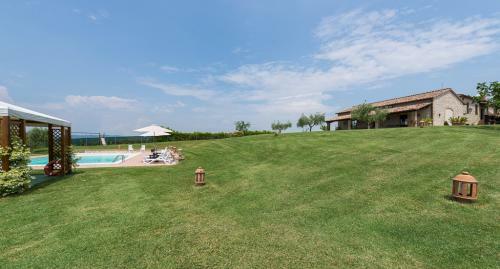 From here you can easily reach the most important towns such as Todi, Orvieto, Perugia, Assisi, Gubbio, etc. 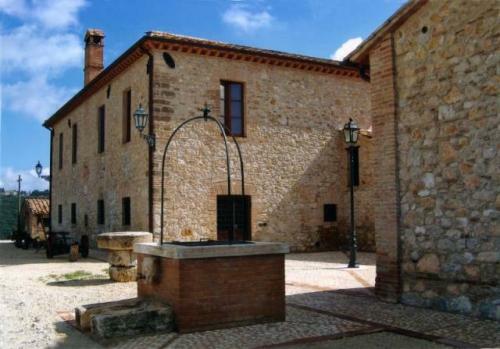 and admire the architectural and artistic. 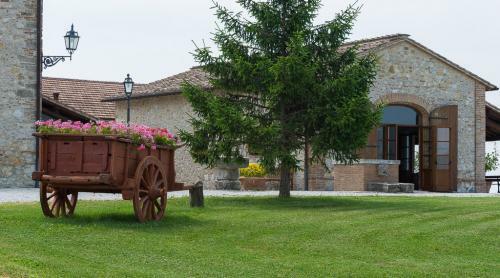 The Farmhouse La Palombara offers hospitality to its customers in an old renovated farmhouse that preserves the original structure. 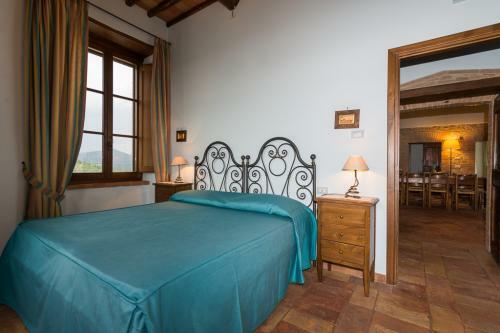 Has apartments of various types and is ideal for holidays characterized by nature and relaxation for all types of tourists, in particular, for two or three families wanting to holiday together or for small groups up to 15 people. 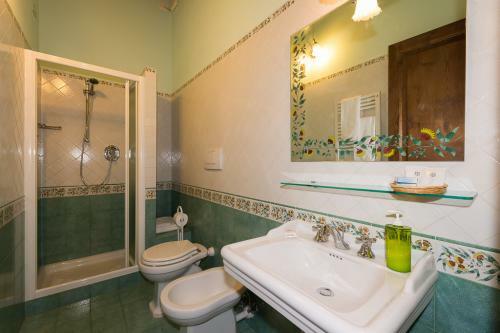 The facility is equipped with all comforts. 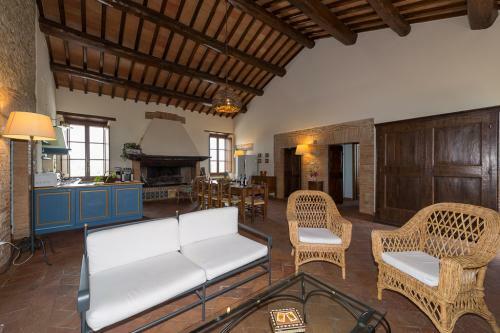 In an adjacent building was used as a lounge for business meetings, cultural or for banquets, birthday parties, with seating for about 80 people. 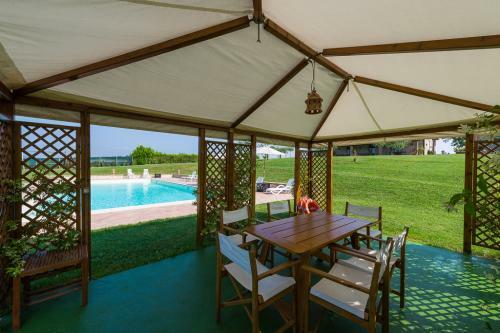 It has also an outdoor area with table, chairs, umbrellas ... 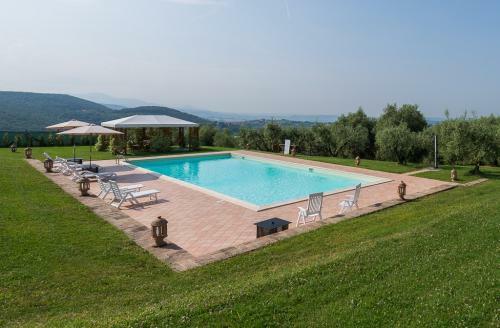 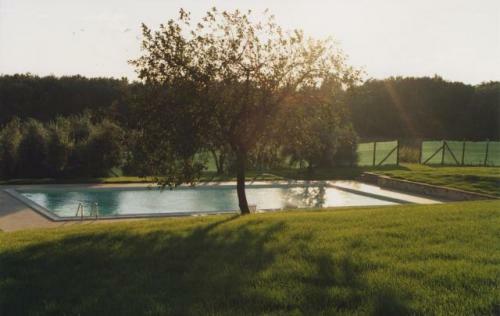 The large swimming pool which merges beautifully with the rural environment is surrounded by a lawn, playground for children, the woods, vineyards and the olive trees that surround, create the ideal environment for relaxing holidays without giving up all the comforts of modern life. 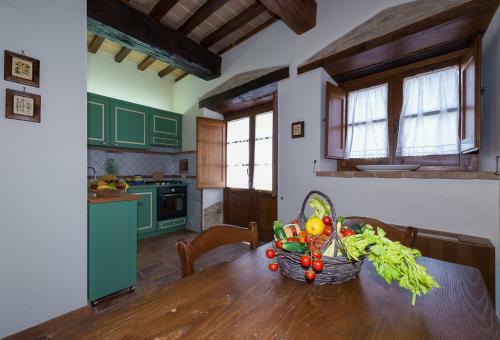 The wood oven and barbecue you can organize tasty dinners, spending pleasant evenings in the beautiful small square stone, enjoying the typical local flavors. 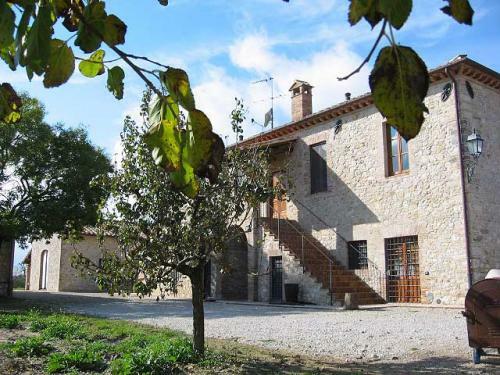 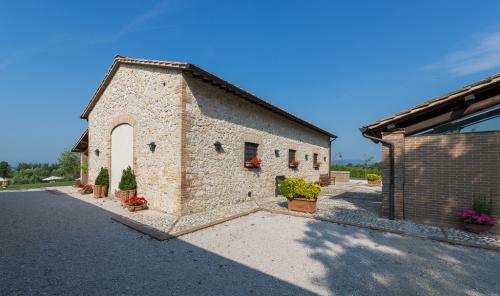 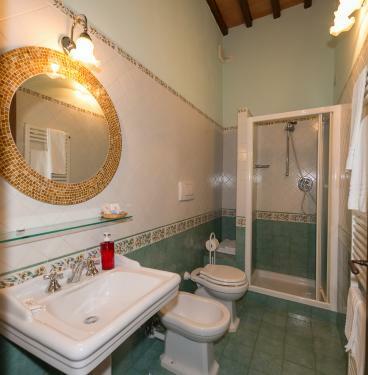 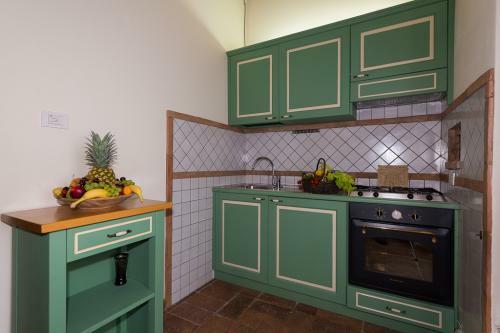 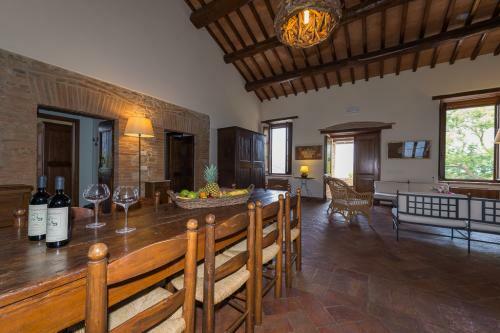 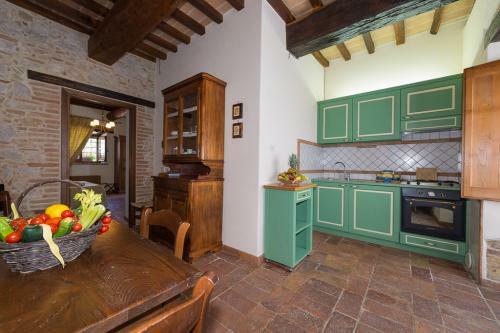 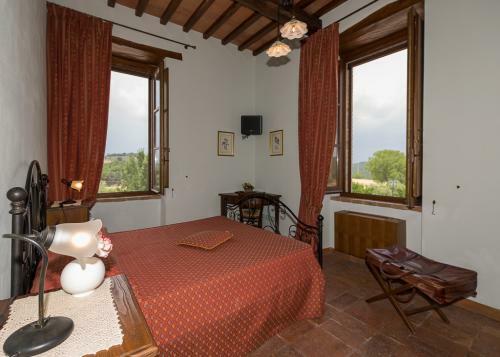 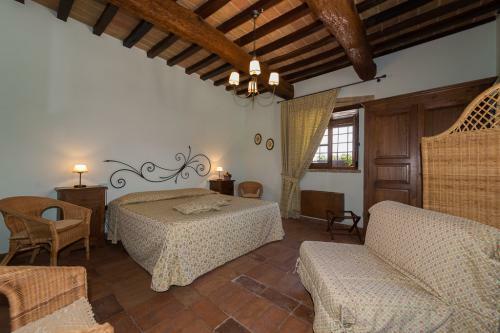 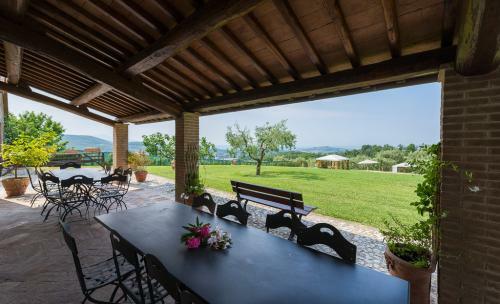 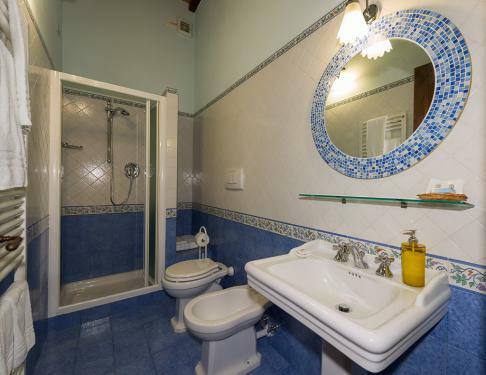 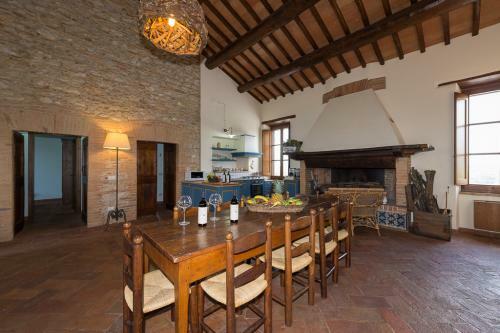 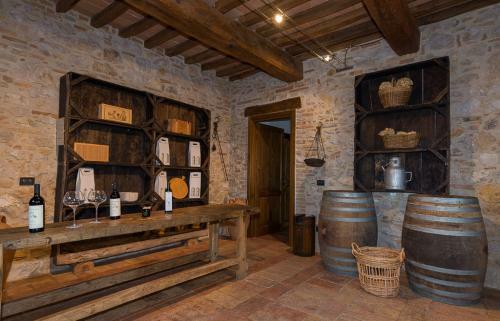 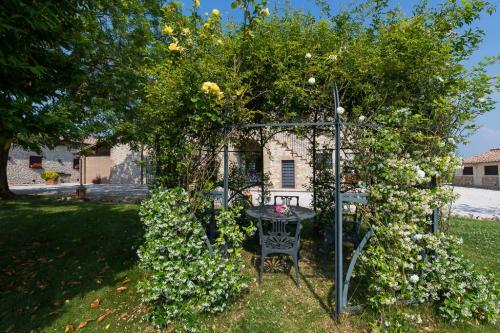 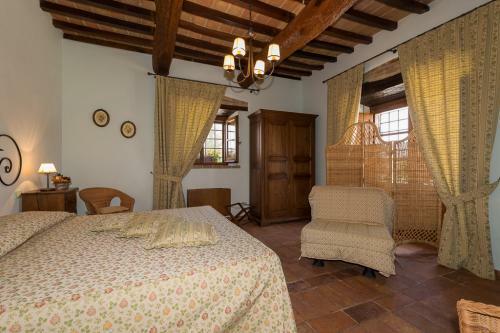 The Accommodation is part of the Company Farm where you can buy red wine, olive oil, nuts and fruits of own production, but also other local products, such as the famous Girotti figs, cured meats and cheeses.